It’s time to make the pumpkin ale brew taste like a pumpkin pie. If your totally lost on what you need to do to get up to this point or what I’m talking about, it may be a good idea to refresh yourself and reread the blog that this corresponds to this one. As a reminder, the reason why I add all of these spices to the secondary is that I find you don’t have to add as much to the beer to have the flavors of the spices come out, especially in the aroma department. Having the spices in the aroma is particularly what I like. 1) Take the spices listed above and measure them out, put them in a bowl. 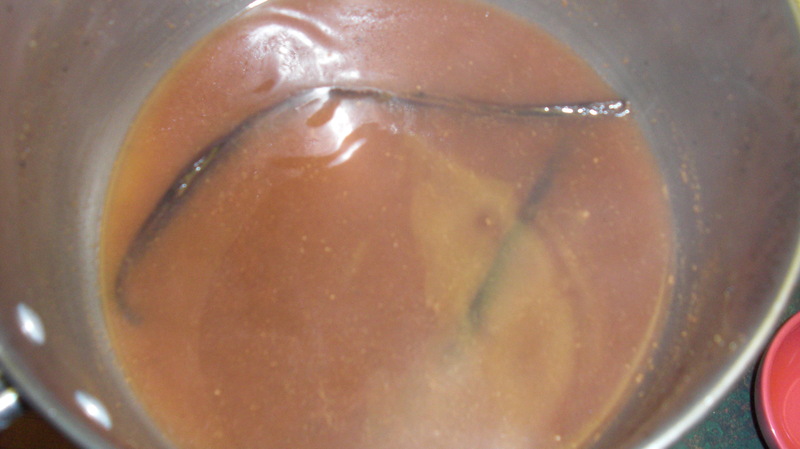 2) Take those vanilla beans out of there bottle then make a slice down the center of them. 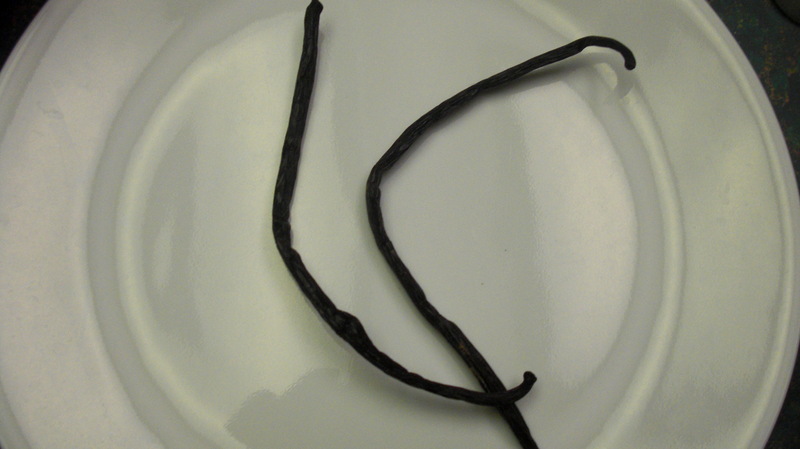 The real flavor of the vanilla bean is inside of the bean itself. With that said, you want to make sure that you cut them open the long ways. Below is a picture of the beans cut in half. 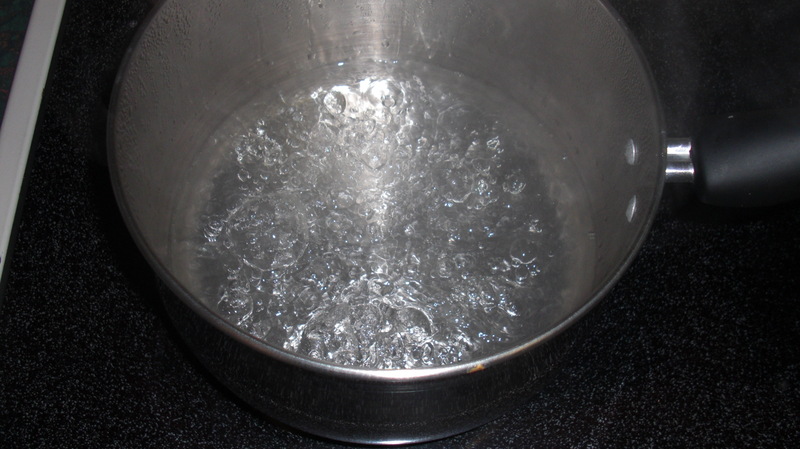 Fill a pot with about a cup or so of water and bring to boil. 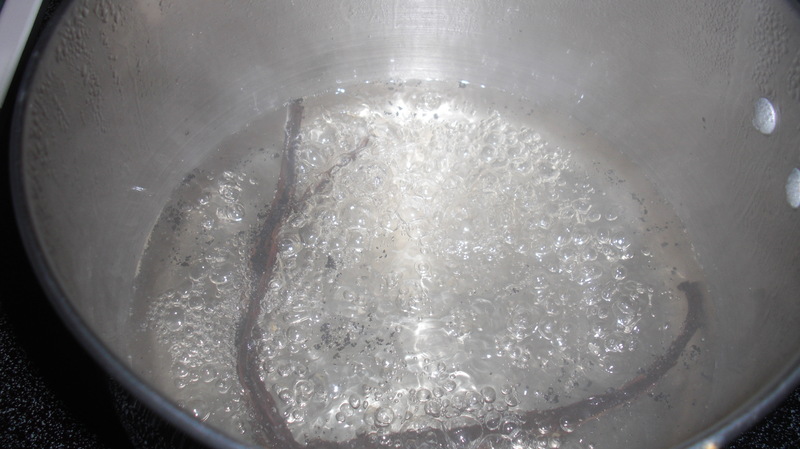 After the water starts to boil, add the vanilla beans to it and let it boil for about 30 seconds, your doing this to kill bacteria that might be on the beans so you don’t contaminate your brew that you worked so hard for. 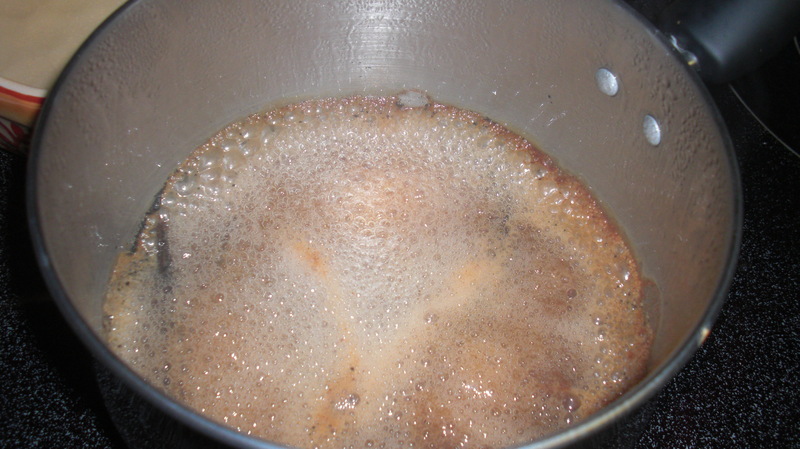 After the vanilla beans have boiled add the measured spices that were in the bowl into the boiling water. Note: I have listed the spices to what I like in my beer. It is really subjective, if you like your brew to have lots of spices add more. If you would like your beer to be light on the spices don’t add as much. What I have listed is purely based off of what I like and I don’t expect everyone to enjoy what I like. Turn off boil. Note: Even though it is not listed, at this point I added half a pound of maple syrup to it. I’ve actually never done it before to a pumpkin brew and thought it could be different. I did it because I wanted it to smell sweeter. I only added half of pound of maple syrup because that’s all I had in the pantry at the time. Never doing that to a pumpkin pie brew before, I don’t know what is going to happen actually or if I’ll be able to taste it. When I taste it I’ll let you know though. 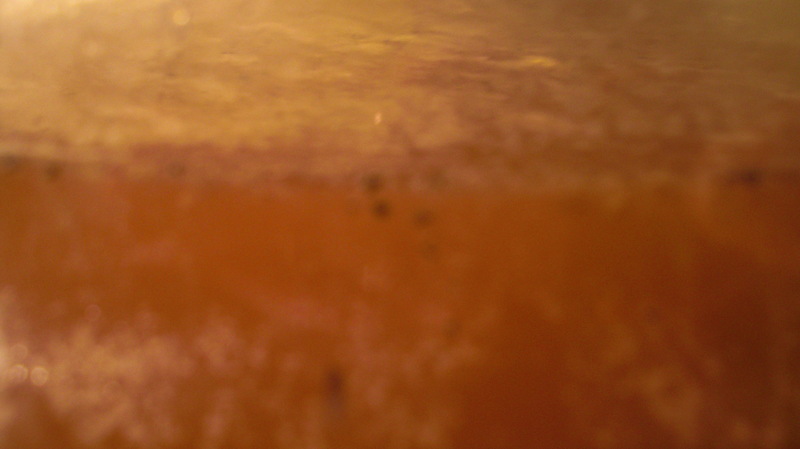 While the mixture of spices are cooling down (which shouldn’t take long because it’s only a cup or so of water) take your beer which is in the primary and siphon it over to secondary to, presuming that you have cleaned and sanitized everything. After this is done, add all of your spices and vanilla beans into your secondary fermentation and then your done for 2 weeks. You can leave it in longer if you would like, but 2 weeks usually is good enough for me. 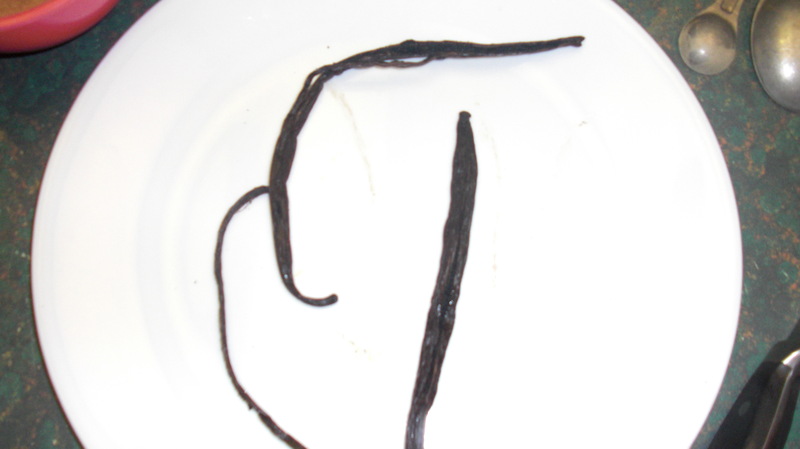 Here is a picture of the vanilla bean seeds floating around. I found that vanilla beans to be kinda of expensive this year when I went to Safeway to pick them up. They were about $6 for one bean. Which means that they come out to be $12 and some change for this recipe, and those where the cheapest ones (they had some for $20 a bean). 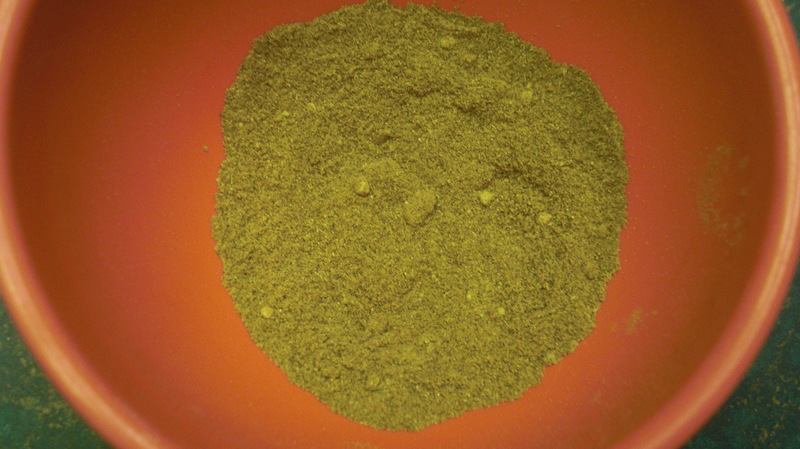 I still believe that they are better then extract but never the less, you can always get them online for cheaper. I think also the potency of the spices deals with how old your spices are, don’t quote me on that though. What I’ve heard is that the older the spice the, “duller” they are in flavor. So depending on what you want as well as the age of your spices, you might add more or less. If your not confident with the spices, or you think mine is too much or too little, act appropriately and just add slowly into your boiling water then smell. Stop adding the spices once you have reached the smell that you like. If you think that I’m adding a lot of spices, just keep in mind that some internet stores will literally give you 5 oz of spices in a pumpkin ale kit… what the hell? That’s more then a quarter pound of spices in a beer. REALLY?! I guess they live by the phrase, go big or go home. Either way, some may like that, not I, that’s to much for me. But to each is there own. At the end of the boil, I smelled the mixture and it wasn’t as sweet of a smell as I wanted or anticipated. I just ended up adding some maple syrup to it. 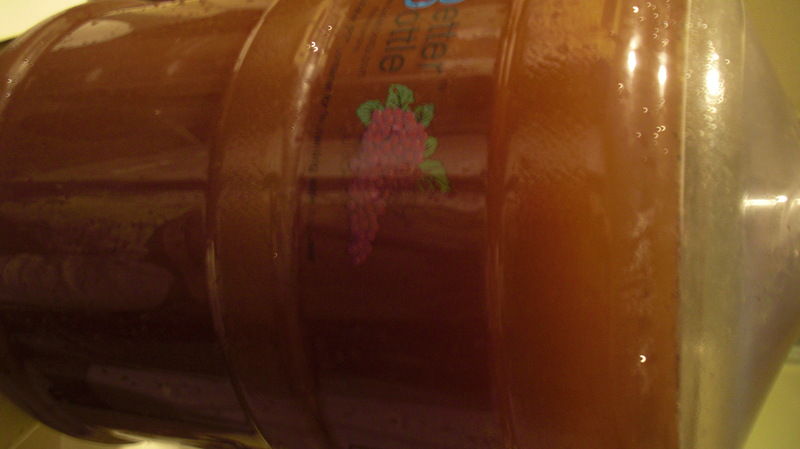 I’ve added maple syrup to other beers before, one which I’ll put posting the recipe soon, but never to a pumpkin brew. I’ll see if it comes through when I taste it. After I added the maple syrup to the mixture I could smell it cutting threw the spices and it did smell sweeter, we’ll see how it goes. So that’s it, we sit and let it do its thing in the secondary for about 2 weeks if you want more of the flavors lean on 3-4 weeks then bottle. If you were hoping to have this done by Halloween it may be cutting it close, I would just plan on having this with thanksgiving. I’ll make sure to post when it comes to tasting and see if I’ll tweak this recipe when it comes to next year. Really like the post regarding the spice usages and age. Only thing I can think to add is that spices tend to be more stable in whole form – so that can lead to the “dulling” of ground product. Cinnamon and Nutmeg are easily gotten whole – ginger I don’t think quite as much. I think I’m going to have to give this Pumpkin Pie brew a whirl! Thanks for the insight. Next year I’ll have to try that out for the pumpkin brew. Hopefully enough people see this post so they can try to give the whole form a try. Never even thought about it when doing it to tell you the truth. Makes sense though, you’ll probably get a more consistent brew year to year. Thanks for the comment!